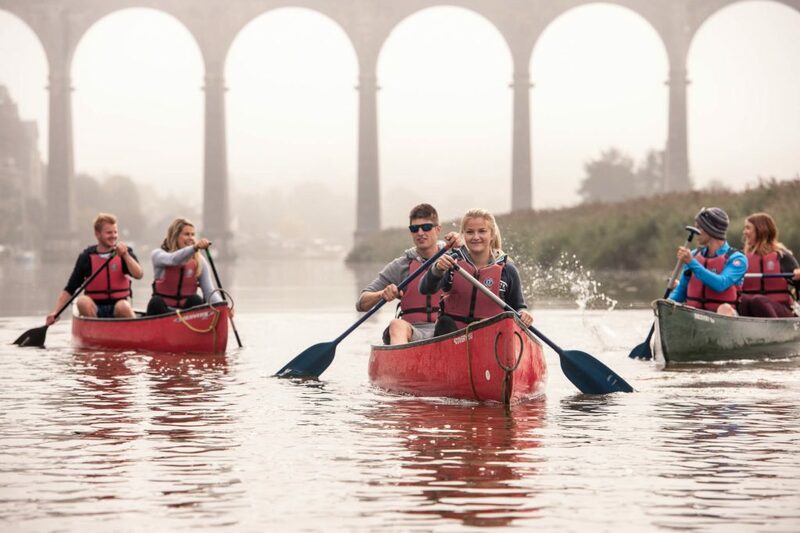 If you are looking for a truly relaxing way to enjoy the stunning scenery and wildlife that the Tamar Valley has to offer, then there is simply no better way to do it than with a Canoe Tamar safari. The river Tamar divides Cornwall and Devon. The canoe trip starts from Cotehele Quay. You will be on the water between two and two and a half hours and we will take a picnic break at our private river side wild meadow. Cotehele Quay is part of the National Trust property based around Cotehele House, Cornwall. The Shamrock, a fully restored Tamar barge is moored there. There are tearooms in the Edgcombe Arms on the quay and delicious local organic ice cream for sale. On our canoe trip you will paddle past the steep woodlands of the Cotehele estate and the chapel built by Sir Richard Edgcumbe to mark his escape from the Roundheads. A sharp bend in the river take us past Danescombe House, built for a mine captain and once a hotel. Boatyards and moorings bring us to the famous Calstock viaduct completed in 1907 which we paddle underneath. 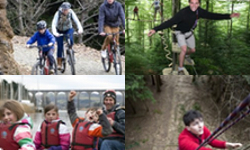 The viaduct is still in use by the Tamar Valley rail link from Gunnislake to Plymouth, and our halt at the village. The river then winds it way up past Okel Tor Quay and Gawton Quay, once part of a large thriving copper industry with ships taking the ore from the 19th century mines along the valley. There is evidence of the mining activity all the way, with ruins, chimneys and disused small quays. Our destination point on the river can vary depending on the weather and enthusiasm of the paddlers! But often we will get as far as, the affectionately known “Pirate Ship”…once a grand little boat that moored along the river, now the bones lay submerged with the mast still standing proud above the water. We turn at this point and head back down river to our lovely spot at Rumleigh Farm where a stretch of the legs and a snack gives us a boost for the journey back! Our instructors will happily talk to you about the history and your surroundings on the trip and will endeavor to answer any questions you have along the way!